Investment condo in Victoria, B.C.? Keep it as small as possible! I don’t think much will change in the near future. The consumer has to embrace alternative business models. Nope….as the market slows down it becomes more difficult to sell everything including listings that are listed via mere posting. Triple car garage; three single doors or two doors (one double, one single)? Aesthetics aside two doors is way more practical than three doors! I don’t prescribe to this philosophy of “never discount.” I run my real estate business just like I would run any other business. How will the 2018 provincial budget impact real estate in Victoria, B.C.? The NDP look to stabilize the market with a PTT increase; foreign buyer tax of 20% including Victoria; and a 2% speculation tax! 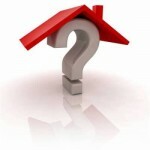 Buying into a condo building with a high percentage of rental units? My personal thoughts on concrete versus wood-frame condo construction in Victoria, B.C. I’ve always bought concrete as I don’t feel there is enough of a discount on the wood-framed product. Bylaw rental restrictions; how much do you decrease market value in Victoria, B.C? Based on the one example we have in Victoria, B.C., I would say approximately 10 to 12%. Real Estate reality Victoria BC…..quick chat with a local Westshore buyer Roger! Rogers talks about his experience shopping for a home in this market. B.C. to introduce new real estate rules in March 15th, 2018; what do I think? Fundamentally I agree with the new rules; however, it will create some challenging practical problems. The rooftop, the gym, and the “beach” access! Mortgage stress test and all; Victoria real estate start to 2018. So far the market isn’t showing any signs of slowing down. Five reasons why you SHOULD NOT rent out your basement suite in Victoria, B.C. There are reasons to rent your suite, but there are also reasons not to rent your suite. Legislation changes to BC Residential Tenancy Act and selling a tenanted property! Understand the Tenancy Act and plan ahead of selling a tenanted property. 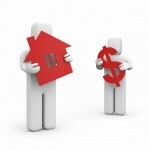 Using BC Assessment Value to determine market value of an individual property in Victoria, B.C? Truss uplift in newer homes in Victoria, B.C. Is truss uplift a carpentry problem or a drywall problem….more like a physics problem.